Whether it's holding lunch or storing gear, this fun retro tin tote is just what any adventurer needs. This Transformers tote features a red autobots design on one side and a purple decepticons design on the reverse. 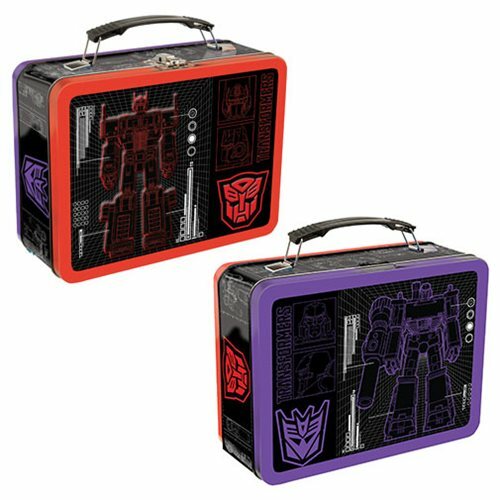 The Transformers Large Tin Tote measures approximately 9-inches wide x 3 1/2-inches long x 7 1/2-inches tall. Ages 15 and up.